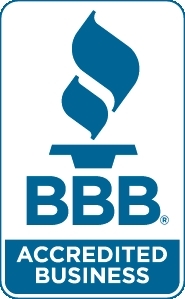 I have been doing business with C & R Tire for more than two decades both as a company and personally. In that time their people have never been anything less than true professionals. Whether they are washing the car, or servicing my vehicles, they use the same quality approach. They never fail to greet me as a customer by name and ask how my family is, or how business is going. They truly look out for my family and my business. Their people are always aware of a sticker coming due, or tires that may be getting close to changing out When we had new drivers in the family they were attentive to maintenance on the vehicles and informed us of any possible safety issues. I have seen their commitment to the community they serve firsthand. They support local charities and volunteer their own time to help others that may be in need. They are the type of company I am proud to have be a part of my home town. I started using C&R Tire when I moved here from New Hampshire in 1997. From day one they made me feel welcome and I just knew they were a great, small town auto repair shop. This is important, as I had a great mechanic in NH. At the time my family was young with two daughters (ages 4 and 2) and a wife. As we grew, we became dependant on Mike and Dave for all sorts of mechanical ailments. C&R came through every time. When my girls got to their driving ages, C&R was there. They were always keeping the "Girls Escape" running. The best part was that when the girls would stop by, Mike or Dave would fix the car no questions asked and they would drive off. The funny part was that the girls never realized that Mike would call me for payment; they figured C&R was their personal mechanic! C&R has always made my wife and girls comfortable, and they always know they are getting top notch service. I would like to let people know about the integrity of C&R Tire. They are accommodating, reliable and trustworthy. When the job required input from the manufacturer, they made calls and referred me. If the possibility existed that my problem was covered under a recall, they researched for recall notices. They have obtained and escorted me to car rentals. They have always made me feel like a valuable part of their business with a sincere compassion for all my automotive woes. All three of my vehicles were destroyed in the tornado of June 2011 and C&R presented us with tires for a donated vehicle. They have always been there for us, accommodating our needs with a genuine concern. I moved to Massachusetts about 13 yrs ago and needed a good place to maintain my two vehicles. A friend at work who was a lifetime resident of Sturbridge, MA recommended C&R. Mike & Dave have taken care of mine and my wife’s cars ever since. Whether it’s just an oil change or tires, brakes etc, I have always received great service. More than once I have called with a problem such as my wife having a low tire while out shopping and they took her right in and fixed it. I trust C&R and have never felt that they tried to sell me something I didn’t need. Mike knows his tires and has always recommended the best brand for the money, not the most expensive. I take good care of my cars and keep them for a long time. My present vehicle has over 171 thousand miles on it, going strong. I wouldn’t take it anywhere else. My business requires me to be on the road at least six days a week. Therefore, it’s extremely important for me to have a well maintained, safe vehicle. That’s why I bring my car to C&R. In my opinion, the mechanics at C&R are cherry-picked experts with excellent work ethics. There was a time I needed a new plastic part for my vehicle. The part was under warranty but the car dealership said it was going to take weeks for delivery. C&R knew I couldn’t wait that long so they went out of their way to repair the broken part. C&R saved me thousands of dollars because they got me back on the road right away. I will never forget that! It’s not only me; I hear positive comments from other C&R Tire customers. Comments like: “I would never consider bringing my vehicle anywhere else,” “I have always had a positive experience at C&R,” and “Mike at the service counter is very knowledgeable and courteous.” “Cheers” to C&R for always doing such a great job! C&R will always be in my circle of trust. Ok, I have a confession to make. Once when I was out of the Sturbridge area, I had a problem with my car. I had no choice but to bring it to a place other than C&R. To put it mildly, it was less than a positive experience. I will never make that mistake again. I faithfully take my car to C&R for tires, regular oil changes and maintenance. Plus, brakes and repair work when needed. I know in my gut that C&R is the real deal when it comes to honesty, reliability, superb work and reasonable pricing. In addition, C&R has a very special way of making me feel like I’m their only customer. Out of all the tire dealers and automotive repair places I can bring my car to, I choose C&R Tire. C&R knows and understands my car inside and out. Plus, I appreciate C&R reminding me when my car is due for an oil change, tire rotation and regular maintenance. My daughter and son-in-law bring their vehicles to C&R too. Hey, when you find the right place that fills all of your automotive needs, I say, “stick with it.” We’re C&R Tire customers for life!